Just a few days ago a friend posted an article on my FB page, this article dealt with the latest (and most likely the last) song to recorded by another friend, Glen Campbell. “I’m Not Gonna Miss You”. https://www.youtube.com/watch?v=U8TsAh-zYFI The song deals with his battle with the destructive effects and affects of the disease, he and his family is now burdened with, Alzheimer’s. I cannot speak to this disease (it seems much larger than just a disease) as I am not informed enough on its deadly path, this must be left to someone wiser than I on such matters. However, I can speak of the man I came to know and am happy to have the honor to able call him my friend. 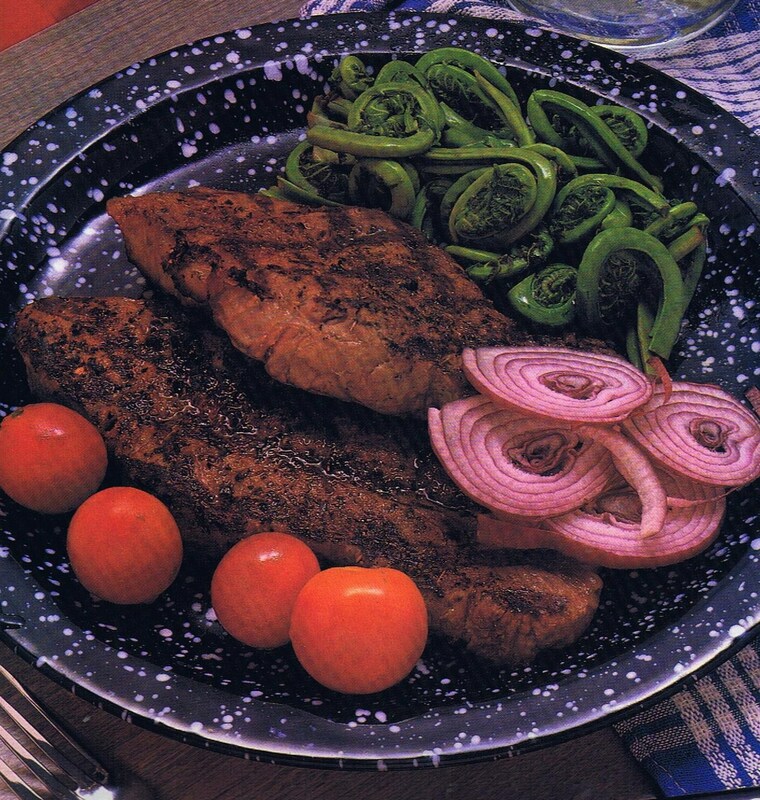 After Debby had reviewed the restaurant and we met her standards she brought her father and the other band members in for dinner of one of Glens favorites, a perfectly cooked New York Strip steak. I cannot count how many of those steaks I have cooked for him over the years, every time he acted as if it were his first. Before he sat however, he went to every table in the dining room, greeted each guest and gave them an encouraging word regarding the restaurant, some on service, others on food others on Dianna and I, this before he had even dined himself. Each and every time he came to the restaurant, which was nearly daily, he would do the same thing, no finer host could any restaurant hope for, if Glen recommended a entree, dessert or beverage to a guest you could be sure that is what they ordered. Only after he had visited each table would sit and have his meal, usually that steak. Glen originally comes from a small town 250 miles away from Branson called Delight. Located just 65 miles from Texarkana along the Interstate 30, the population of Delight is slightly over 250 people and a good percentage of those are Campbells. Every so often a large contingent of Glens close and distant relatives would show up in Branson for Glens shows, they would eventually come to the restaurant and it became a family reunion of sorts, but the music they would play and sing was incredible and last for hours. The songs they all knew and seemed love best were the old time gospel ones, at times it seemed like heaven was their backup choir. No one took center stage they just enjoyed each other’s gift. Sure, they came to see Glen and Debby preform but once the show was over they were just “kin” and everyone was there to have a good time. Glen and I created an entire line of sauces, salad dressings and seasonings (30 or more) which he named Glen Campbell’s Sauce Deights after his home town, however, they were never bottled or sold to the public (some royalty snafu with lawyers) they remain here in my recipe bank but be assured they are “Deight”ful. I know how the media have portrayed Glen, but that was never the man I knew and know. He has a great compassion for others and truly feels what others go through. When my grandson Joel was born and came out of the hospital, his mother brought him to see at the restaurant. We had just finished catering a large breakfast and were about to break down the buffet when she walked in with Joel, we stopped and had coffee. Soon thereafter Glen walked in, he took Joel in his arms, sat in a corner rocking him gentling singing “Jesus Loves you” to him while we just watched as we ate our breakfast. Not until we were through did Glen have breakfast himself. Time and time again would we see Glen show himself to be the southern gentleman he truly is. I have had the honor of catering, special dinners in his home where he would show his gold records, pictures of himself and the famous, but he only teared up when it came to showing the pictures of his family. The highest honor comes from those whom you touch daily, when you have loved them regardless of themselves. Life is a Carousel as Oscar Hammerstein and Richard Rodgers once wrote, many of us walk in circles never seemingly going anywhere, but once we take the hand of those around us and show that which we are made of, Love, Faith, and Forgiveness we come to realize that we are not alone in our walk. Glen recorded the Oscar winning song from Carousel https://www.youtube.com/watch?v=ZEn5ZzeJERU so we can dedicate it back to him and let him know he never walks alone. Trim the steaks of fat and remove the strip of grizzle along the edge to prevent curling while cooking. Blend the seasonings together and rub into steak. Leave steaks for 30 minutes. Cook steaks for half the recommended time, rotating once at 45-degree angle, then flip and finish cooking. To test for doneness, do not cut into steaks, because the juices will escape, use an instant-read meat thermometer. Cook to 145°F (63°C) for medium-rare and 160°F (71°C) for medium, or about 5 minutes per side per inch (2.5 cm) of thickness. When done, let steak rest before cutting so juices retract and stay in the steak. Awesome article! I really loved the way you told the story about Glen and Debby coming into to your restaurant and they way he treated your guests. Nice of you also to post the steak recipe. Sounds great!! 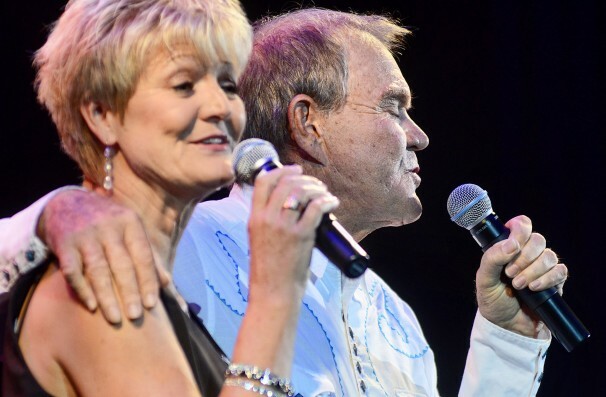 You described here the Glen Campbell that I have known and loved for 45 years. what more can I say? What a beautiful telling of your friendship with the man as you knew Glen. It was very honoring of him and his life, his faith in the God he served and will still serve as people listen to his gospel recordings. I know of no finer tribute… thank you so much for sharing your story with all of us who love him, too. Enjoyed reading so much, it is how I feel about this man. He always made us feel like family. The last time we saw him was at the Hard Rock in Tulsa. He was so alert, remembering us from years past. You have described the Glen I knew – caring and loving and having time for other people. He made my life complete and this is the way I will always remember him.